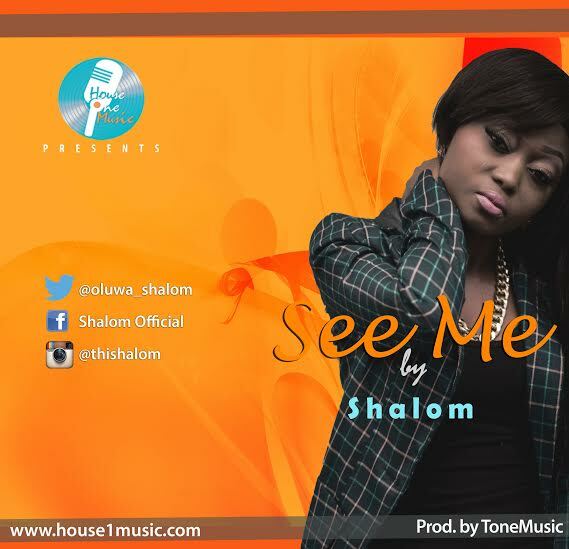 House One Music recording artist Shalom (fondly called OluwaShalom), makes her debut appearance on the Nigerian music scene with the release of “See Me”; her first official single since her singing to the label. With this afro-centric, highlife, easy-to-sing-along gospel tune, Shalom joyfully expresses God's faithfulness and kindness in her life. Produced by Michael Tone of Tone Music, and co-produced by Femi ‘Bricks’ Hermida (CEO, House One Music). "With these songs, we hope to reach out to the reality of today's world, See Me is for joyful happy seasons, a Thanks-Living piece, and Song in the Night, as the name implies, expresses the reality of Divine Comfort even when times are tough, they are songs that God's gave me at different points in My Life's journey"
Shalom, like her label mate Naomi Mac, is a powerful singer, songwriter, and also past contestant and finalist of a music reality TV show, Destiny Child Gospel Music Talent Hunt. Olorunfemi Shalom hails from Kogi state Nigeria, works professionally as a Vocal Coach. During her spare time, she keeps busy with her hobbies as a Florist and fabric jeweler.